Home - Reigel Electrical Services, Inc.
5 Volts To Lightning Bolts! Electrician arrived promptly at the appointed time. Quickly diagnosed problem and replaced faulty breaker. Clean, neat and professional. I could not ask for anything more. A slight delay in start time - but after the owner was contacted, he promptly dispatched a team. The team called when they were on the way & arrived in a decent time. They came prepared with the necessary tools, tarps & a shop vac to clean up ... and even took off their boots upon re-entering the house after clean up; both young guys were very polite. If we had known it would be this easy - we would have bought 2 ceiling fan vouchers! Purchased the Whole House Electrical Safety Inspection from Angie's List. They called within a day to schedule the inspection. The owner of the company arrived to do the inspection on time. 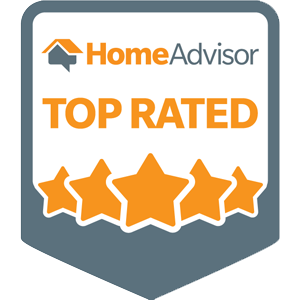 He was very thorough and helpful, explaining what should be done to resolve any issues. I received a summary of his report within the week. It turned out to be more complex that initially thought as we had 3 light switches to replace. The third was in a stairwell and gave us a bit of trouble making the job run long. But the guys made time for it by returning daily after their other jobs were done. Ultimately it all worked out. There was , of course, an upcharge for the crazy staircase situation but Bill worked with us to make it an equitable cost. We were very pleased! During the home inspection process of selling our house the inspector notated a few electrical issues that should get fixed. Upon the buyer asking for these issues to be fixed we called Reigel Electrical Services. Reigel Electrical Services went above and beyond to accommodate a tight time line for completing the work. The work was also done in a clean, neat and professional manner. With needing electrical work in the future at our new house Reigel Electrical Services will definitely be getting a call from us. I want to thank you and your crew for the excellent job you did for us installing the security lighting for the parking areas and external power outlets on the building here at the Ellsworth Centre. We appreciate your team working around the needs out staff and clients during installation. Your crew also made sure that upon completion that we were satisfied with the end result. Please feel free to provide my name for future references should when the opportunity arises. Reigel Electrical Services (RES) recently rewired our entire house. They removed the old knob and tube wiring and then ran new wiring all through the house. This was not an easy job, but they accomplished it with minimal damage to the walls of the house. As to be expected in a total rewire job, there were obstacles that were discovered that had to be overcome, and RES overcame all those obstacles. The workers kept us in the loop by doing walk throughs at the end of every work day. Thus, we could see the progress being made, what problems they were running into, and what their plans were for the next day. The workers had great work ethic and did their best to minimize their impact on us while they were rewiring the house. We would definitely recommend RES to anyone looking to hire electricians to work on their house. We would definitely use them again for any electrical work that we need done. Our business slogan says it all. At Reigel Electrical Services, our top priority is Customer Satisfaction. Whether building a new home, updating existing electrical fixtures, renovating commercial space or adding equipment to your industrial manufacturing facility, Reigel Electrical Services is your best option for safe, reliable service and quality work. We take pride in doing the job right – the first time. You can depend on us to complete your project to the highest safety standards, at the fairest rate possible. Reigel Electrical Services, Inc., is a full-service electrical contractor serving businesses and homeowners in Erie, Warren and Crawford Counties in PA. We install, repair and service electrical, power, lighting, data, fire alarm, and back-up power systems in new and existing buildings. Our skills and experience enable us to easily handle your electrical service needs. From five volts to lightning bolts, we handle it all. We’re proud to be Your Erie Electrician! Did you know? Electricity is a major cause of home fires. According to the National Fire Protection Association, 7 people die each day in reported U.S. home fires. As each year goes by, American home owners continue to increase electrical use in their homes. At the same time, the electrical systems in many existing homes have become outdated, and are unable to handle the demands of today’s more complex electrical appliances and devices. At Reigel Electrical Services, we take safety seriously. That’s why we offer an affordable in-home electrical safety inspections. If you’re not sure whether or not you have an electrical safety issue, it’s always better to be safe than sorry!